Its finally here!! I think the best part of every year has got to be Mango season, especially when Alphonso mangoes come flooding through from April. Of course there are all sorts of varieties that are in season until late July. Pairi, Hapoos, Kesar, Totapuri and Dasehri are the one’s we would eat when I lived in India. There is also the Chaunsa variety which is available all through July/ August. Asian stores in the UK start stocking up on varieties from now and its worth making a trip. Although in our household we could get through a box a day to be honest! I remember going with my father to the fruit and veg market when I was younger in India. The main thing I learnt from him was to bargain for a good price; its something he always did really well. Also we never bought a box of mangoes, it was always sold in petis/ wooden crates. Which I suppose fitted well with my folks seeing as each ‘peti’ had nearly 50 mangoes. 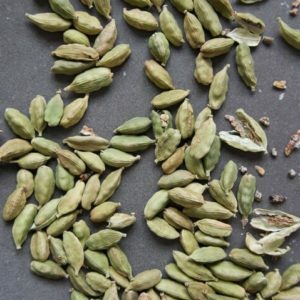 So my father would buy two petis, one that were ripe and the other slightly green which we could leave for a week or so. Mango season in our home was a feast and still is. From milkshakes, to aamras, kulfi, falooda and of course just sliced too. Its a pleasure to devour into something that is so gorgeously sweet and addictive. 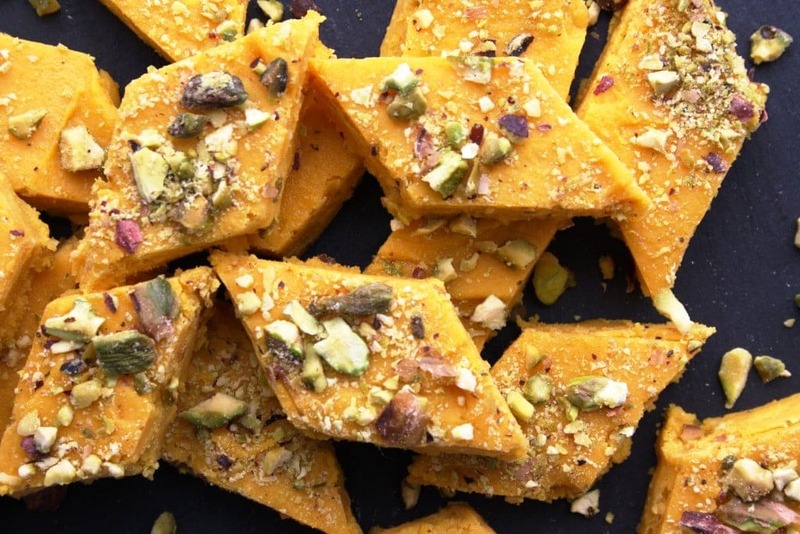 One of my favourite sweets is barfi and infused with fresh mango puree makes it so very delicious. This recipe is a cheats method of getting the same barfi results for something that would probably take much longer to make and set. Line a flat dish with baking paper. Sieve the milk powder to rid of all the lumps. Add all the chopped mango to a blender and blend to a smooth puree. Strain the puree through a sieve to get a thick mix. If you’re using ready mango puree just add to a bowl. Add the condensed milk to the mango puree and mix well. In a small sauce pan add the mix and bring to a boil. Simmer stirring frequently on a low heat for 10-12 mins. The mix will reduce slightly. Add the double cream and continue cooking for a further 15 minutes. Also add the ground cardamom powder. The barfi mix will thicken. Now using a whisk and working quickly add the milk powder; a few tablespoons at a time. Whisk well until all the milk powder has blended in. Keep the heat low and stir to make sure there are no lumps. It will come away from the sides of the pan and form a smooth dough. 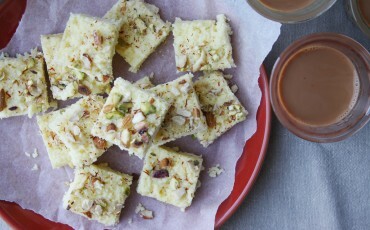 Set the barfi in the lined flat dish, smooth out the edges and sprinkle with pistachios. Cool and set in the refrigerator for 2-3hrs or preferably overnight. Cut into squares and serve. Ooh, I’ve never made mango burfi before – I really must try this before our mango season ends (I live in Chiang Mai at the moment). I used make coconut burfi all the time when I lived in Fort Kochi…. I do actually think I could live on it! Ha ha! 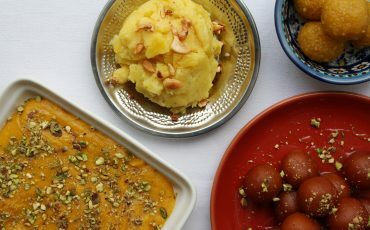 can we use mango pulp that you get in tins for this recipe. don’t get fresh mangoes in New zealand thanks. Hi maunika, any substitute for milk powder? Thanks, Sharvari. Not in this recipe there isnt. You want the barfi to dry out and bind together so it rids of any moisture.